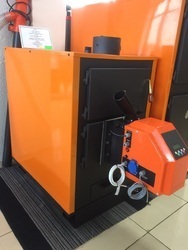 Offering you a complete choice of products which include gas boiler, gas fired boiler, wood pellet boiler, wood pellet boiler for hot water and gas hot water boiler. 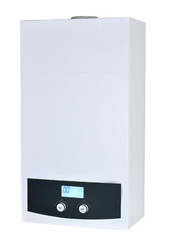 Wall Hung Combi Boilers could be easily mounted in restricted areas by means of their small sizes. Micro Processor Controlled Card - By means of microprocessor cards, wall hung combi boilers could easily perform all of the functional processes. 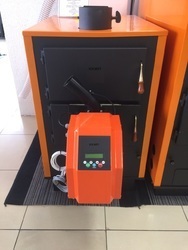 Protecting System against Frost - By means of the sensor on the Emko wall hung combi boiler card, when the water temperature inside the wall hung combi boiler decreases to +8 °C combi boiler runs the pump, when the water temperature inside the wall hung combi boiler decreases to +5 °C wall hung combi boiler automatically runs and avoids freezing. Sensitive Heat Adjustment ± 1 °C on Radiator & Heating Circuits by means of the sensors and microprocessor, sensitive heat adjustment İs supplied. Solwet Boilers are used for central room heating system, Domestic Hot water generator in industries like pharma, chemicals, laundries, food processing, textile, Tyre retreading. In Every Industry Compared to Diesel/ LDO we can reduce cost towards Steam generation with a low investment rather than buying a new Boiler. Switching to a pellet fired boiler helps industries to optimize their steam cost because of the higher steam to fuel ratio. Pellets facilitate automated fuel feeding and ash removal, thereby making steam generation less dependent on people. 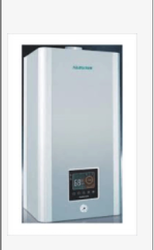 By keeping track with the latest fashion trends, we are bringing forward an attractive range of LPG Gas Boiler.